Hey ladies! I've received a few emails about how I style my hair. I've been meaning to do a post like this for some time, so here it is! Whether you have long or short hair, you can get the beachy wave look. It's pretty simple for me. With thick and curly hair, I don't have the time to blow dry them straight. I know, I should take that time, but let's face it, it's just not gonna happen. 2. 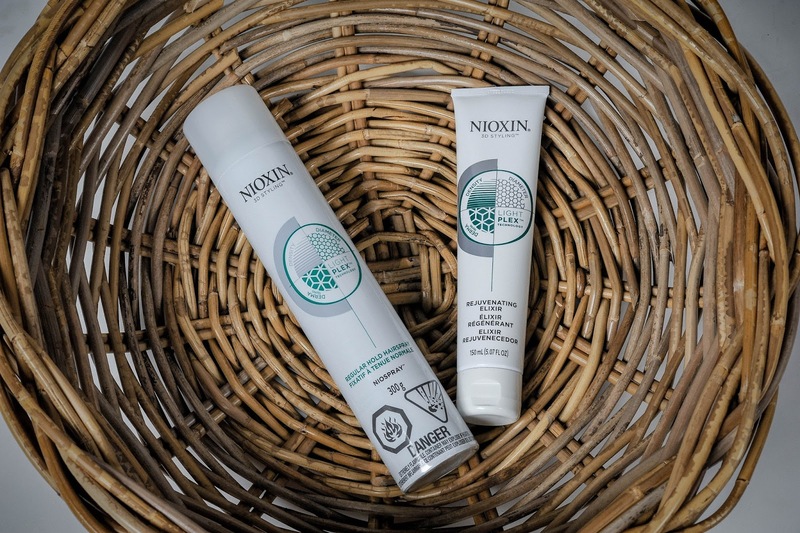 I apply a small amount of NIOXIN's Rejuvenating Elixir to my damp hair. It's a leave-in elixir to help rejuvenate hair texture, leaving it soft, manageable and with natural movement. 3. Time to blow dry! Make sure they are nice and dry. If you feel they are a bit humid, keep drying them. 4. Pull out that styling iron! I make sure my hair is straight from root to tip. This is usually the longest part for me because I have so much hair. 5. Grab your styling wand. I use a 1/4"-3/4" tapered barrel for beachy waves. I find it works best for me. Originally, I used a really cheap one at the beginning while I was getting used to styling it but that wand crapped out on me, so I invested in a much better one. 6. I like thicker waves, so I usually grab 2 to 3 inch sections of hair and wrap it around the barrel (twist and wrap, twist and wrap). 7. I finger-comb and spritz in some hairspray. 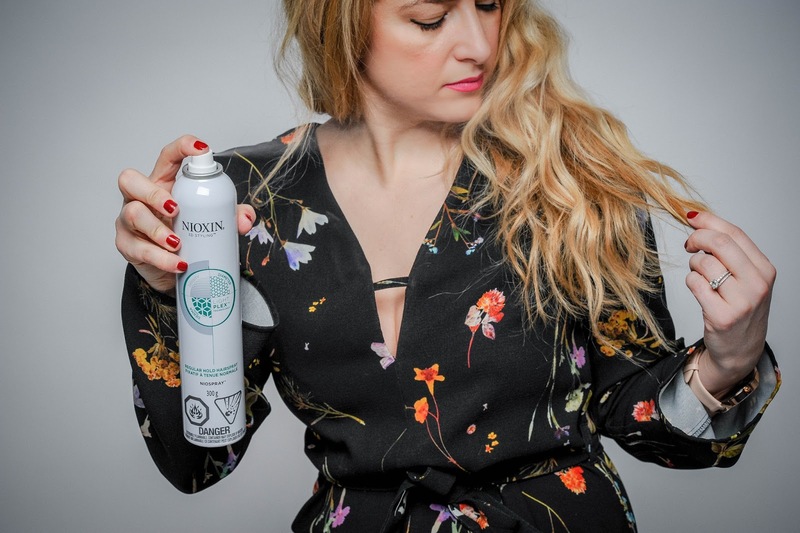 I'm currently using NIOXIN's regular hold hairspray. It's workable, light hold finishing spray and easy to brush out. Hope these tips were helpful! Send me an email if you want to know anything else! I love Nioxin, it helped my hair grow back after I had my two kids. Love your review and tips. Hope you can stop by my Weekend Wear Fridays linkup and share your style and tips.